Why Do I Need A New York Estate Planning Attorney? Typically people accumulate wealth during their lifetime. The sum of that accumulation including real estate, other owned items, investments, other assets and cash combine to establish a person or family’s estate. The need to protect your estate after death is essential for everyone. Simply put an estate is the net worth of a person or family. It is the sum of all assets, less all liabilities at that time. Estate Planning is the process by which you help protect you and your family from the uncertainties of the future so as to minimize problems that can arise during a family crisis like death, disability or other major changes in your life. We can provide an experienced New York estate planning attorney that will help protect your estate, guide you through the complicated legal process, and ensure your wishes are protected. What Is Power Of Attorney For? One of the most important and basic legal instruments everyone should have is a Power of Attorney. This is a legal tool that allows you to delegate legal authority to another person to make a wide variety of decisions for you (other than health care). As the principal, you give permission to someone (the agent) to make legal decisions for you related to your finances, property, and other matters. The power can be broad or limited and is used in the event you are incapacitated because of an illness or injury, or if you cannot be present to sign legal documents. Power of Attorney is for if you become incapacitated, sick or disabled. They can be used for your convenience if you’re unable to conduct your affairs because of time, travel or any other reason. Because of the broad range of powers granted to your agents, you need to select someone that you have the highest level of confidence and trust in. Oftentimes, this can be a spouse, a child, a close relative or a trusted friend or advisor. Should you ever become disabled, incapacitated or ill for any reason, in the absence of a valid Power of Attorney, your affairs will be at a standstill. Your banking and financial needs may be unmet; payment of critical bills could be delayed; your business or company may need ongoing management. If you needed to sell a property, like your home, you’d be unable to do so. You might need to apply for Medicaid in order to pay for expensive nursing home care or home-care services. Without a Power of Attorney your family may not be able to meet your urgent needs. Many families have situations where someone is disabled by dementia or Alzheimer’s disease or a chronic illness. Having a Power of Attorney as part of your “legal arsenal” will allow your family to properly continue and conduct your affairs and minimize the uncertainties that arise in these situations. A New York estate planning attorney can help you navigate the complex question: What is power of attorney for? What Is Power Of Attorney Responsible For? Keep in mind, Power of Attorney does not give an agent the authority to make medical decisions on your behalf. To appoint someone to this task, you’ll need to arrange a Healthcare Proxy. The person to whom you appoint Power of Attorney and Healthcare Proxy roles can be the same person, but he or she must be assigned through two separate procedures. The Difference Between Probate & Intestacy? Probate is the process in which a will is proven in court and accepted as a valid and legal set of instructions from a deceased. In New York, the executor of a will is responsible for filing for probate and providing the original will and a copy of the death certificate to the Surrogate’s Court. This is the first step in settling the deceased’s estate. Intestacy, on the other hand, is the process for settling the affairs of a deceased person who did not create a will. It is handled in a similar manner to probate, but since there is no will, the court appoints a person to act as administrator of the estate. In most cases, the administrator chosen is a spouse, child, grandchild, parent, or sibling. This administrator has the same responsibilities as an executor managing a will in probate, and is responsible for managing assets, paying creditor claims, and distributing assets. However, without a will, the deceased’s heirs are determined by New York statute, and certain heirs are given priority over others to inherit assets. The wishes of the deceased, if known, are not necessarily honored, unless they just happen to be in line with the state procedure. The way in which a deceased’s assets are distributed without a will are fairly standard in New York. According to the state’s intestate statutes, a surviving spouse is entitled to inherit the decedent’s entire estate when there are no children. If the deceased has children, the surviving spouse gets the first $50,000 in assets, and the remaining estate is divided 50/50 between the spouse and the children. 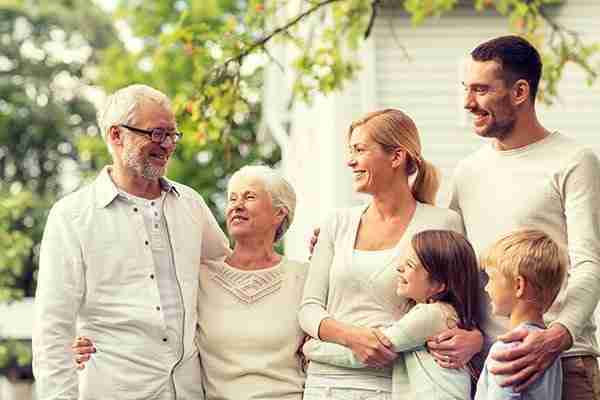 Siblings and parents are entitled to assets when there is no surviving spouse, children, or grandchildren. It is important to consult with a seasoned intestate lawyer and probate lawyer in New York. We can provide you with a New York estate planning attorney that have in-depth experience of the role that an intestate lawyer and probate lawyer must play in New York estate planning. What if the deceased has no next of kin? If a person dies without any immediate family members, anyone related to that person by blood has a right to the deceased’s assets. This includes aunt and uncles, cousins, and so forth, as long as they are able to prove their relation. When a self-proclaimed heir makes a claim to a will, a kinship hearing is scheduled, at which point the supposed heir must present evidence of his or her relation, including birth certificates and other legal documents, DNA evidence, or a family tree. Kinship hearings are complicated and anyone who believes he or she is entitled to an estate should seek the counsel of an experienced attorney. Having a Last Will & Testament prepared for you is important to ensure that your wishes are carried out upon your death. You may want to make special provisions for family members, friends of charities. Trust may be needed to ensure that a bequest is used for the purposes you intended and not squandered. While the laws of intestacy will ensure that your property is distributed, you can chart your own course and protect your family and their interests with a Last Will & Testament. Experience and knowledge greatly help with navigating the complexities of New York estate planning. If you you need to hire a New York estate planning attorney with the necessary expertise, contact us below!